Shopping with Us - Cycology Bicycle Co.
Cycology Bike Co. spends much of its time engaged with our local community. One of our core tenets is continuing to grow our cycling community. We participate in local fundraising missions, donate bikes to charity, and invest heavily in our local cycling, triathlon, and junior racing programs. We invest in the community that invests so much in us! We employ industry leading repair techniques and technology. We have a state of the art repair shop and can perform all needed services and repair; and we guarantee our repairs! We don't rest until our customers are happy. All of our techs (known as "cycologists") go through rigorous industry training on both bicycle repair techniques and the latest technology. You can put your trust in our expertise. Not every customer is looking to purchase the most expensive bike possible! We understand this. 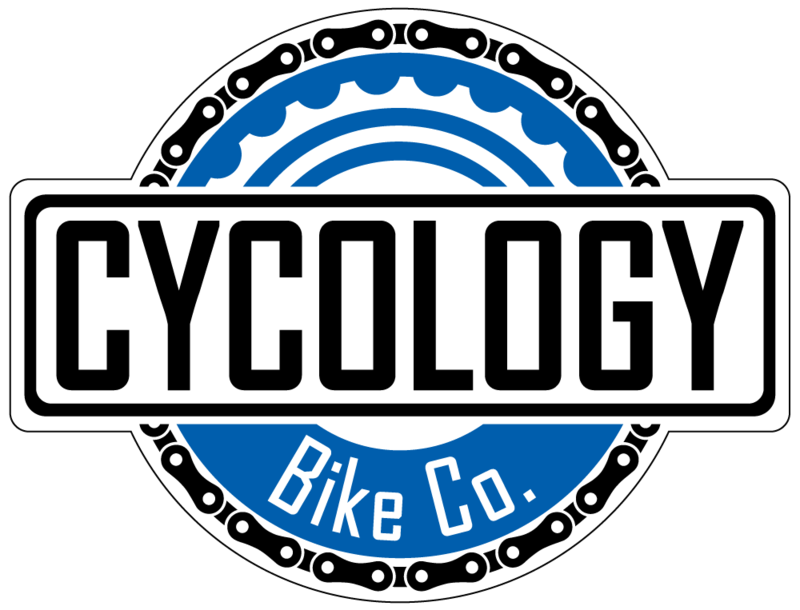 At Cycology Bike Co. we take the time to listen to our customers' needs and ensure the purchase they are making is the one that fits them. We fit you to the bike, not the bike to you! We also have flexible payment options and partner with Synchrony Financial to offer extended payment terms. See one of our sales associates today for details! What is the point in buying a high-end bike if it doesn't work for you? Each purchase of a bicycle from Cycology Bike Co. entitles you to a free fit before you leave our store. We also spend the time to make sure that the bike you are purchasing is the right size for you, and make sure that you are familiar with its operation. This ensures that your ride will be as comfortable and enjoyable as possible. We also offer Advance Fitting options open to all customers. We want you to get the highest-level enjoyment out of your purchase. In keeping with this spirit, we offer free basic adjustments on all purchases of new bikes from Cycology Bike Co. Basic adjustments include derailleurs (both front and rear), brakes and headsets. Some exclusions do apply, please visit our store for details. Bicycles don't always perform like we want them to, but we are there to help you through the process. We offer extended warranty options through VeloCare to ensure the worry-free life of your new bike. Warranty options are available in 3 or 5-year terms and price varies on the purchase price of your new bike. Please see our store for details on this great program. We carry a wide selection of bikes from some of the industry's top brands. All the brands we carry offer a LIFETIME frame warranty, and stand behind their products. Because they stand behind theirs, we stand behind you and help walk you through the process if anything ever happens to your bike. We will do the leg work so you have peace of mind! We're here to help our customers!